Sands Retail is the leasing and retail asset management platform of Las Vegas Sands Corp, a Fortune 500 company and the developer and operator of world-class integrated resorts that feature luxury hotels, gaming, retail, dining and entertainment. Sands Retail came to Quixotic Creative to develop their main brand and all printed collateral. 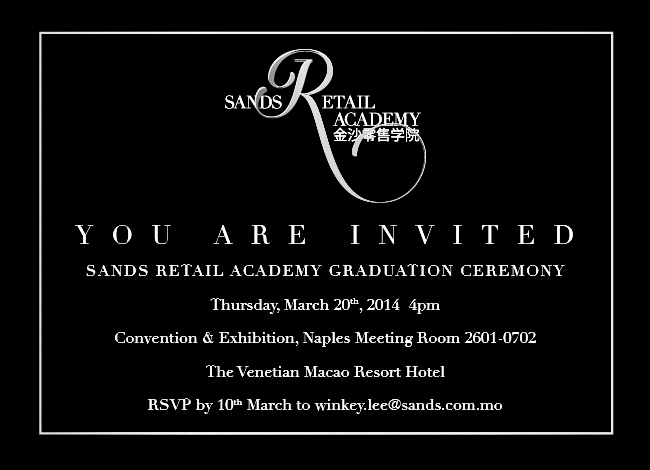 The Sands Retail leasing folder and brochure needed to be luxurious and communicate the advantages of the Sands Retail properties in Singapore and Macao to their future retail partners. 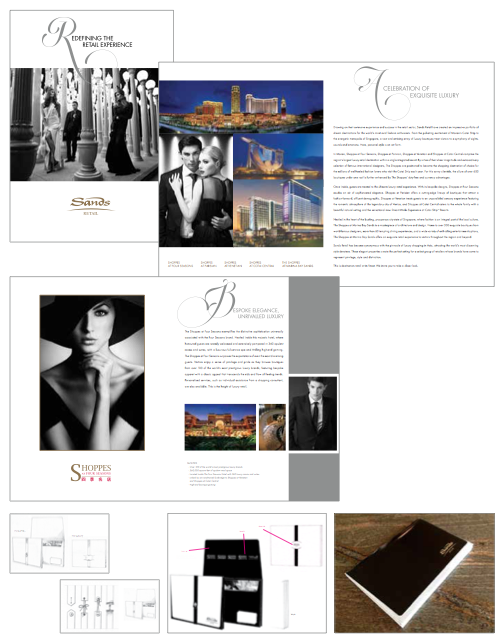 The Sands Retail team wanted to create a folder that held a 20-page oversize retail book as well as single brochures highlighting each property. Quixotic sketched multiple custom folders with various enclosures and high end print production techniques. The leasing brochure includes gold and silver foils with metallic inks. The Sands Retail brand was carried through stationary, pop-up property brochures, in-house signage, PowerPoints, invites, digital and social media and email communication.